If you love our Saturday Morning Mini Cookies, then these are sure to be a sweet treat! 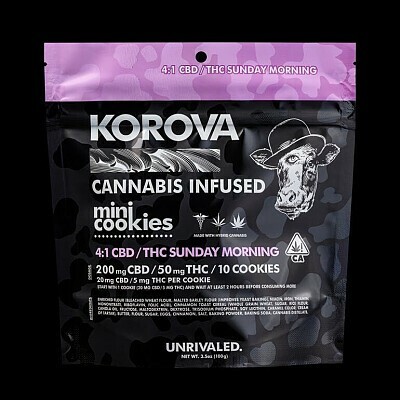 Packed with cinnamon toast cereal, our Sunday Morning Mini Cookies have 20mg CBD and 5mg THC per cookie. 200mg CBD and 50mg THC per package.